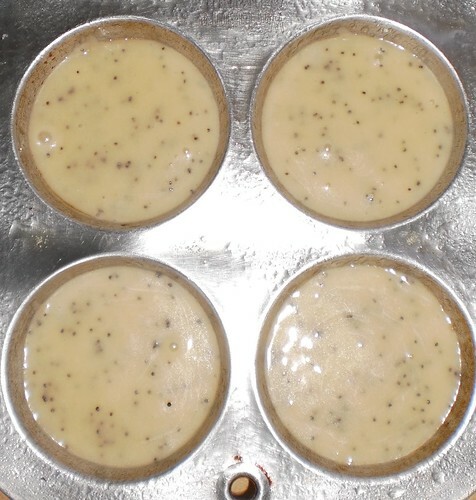 Ox Yoke Bakery Poppy Seed Muffins are smelling up my house. This is a good smell, a very good smell. The recipe makes 2 dozen but I got 2 and a half dozen so there will be plenty of muffins for future breakfasts. I like this time of morning. It's quiet. Pilchard was in the bedroom this morning to meow at me to get up. She's getting bolder or more comfortable maybe, with jumping up on the bed. Of course, I want both of them sleeping with me but there must be some sort of comfort factor here. Mija's "territory" includes sleeping with me, so perhaps there are silent or not so silent negotiations going on for a corner. It's a beautifully sunny day. Last night's wind that seemed to go through the house regardless of winterized protections has died down. I used to get up religiously at 6:30 a.m. I used to really, really be a morning person. I went for walks in the morning when Carole was in school. I left the house on winter mornings at 6:30, walked for 45 minutes and was back just in time to get Carole up for school. When she was in high school, I walked after taking her to school. I don't do that anymore, either take her to school or walk in the mornings. Admittedly, this is a lifestyle change, a choice. I'm up later at night and then that means I don't get up as early in the morning. I've grown used to sleeping in on weekends. I remember when I used to say I did more before 9:30 than some people did all day. I was also home all day, did not have a full-time job, and that contributes to the ability to get a lot done. It's on days like this, when the sun gleams and I know it wouldn't have been at all a bad idea to go for a morning walk, that I feel wistful. Yes, I could stop what I'm doing and go for one, but I know I won't. I stand at the front door with my tea and remember that I used to be more active. I am content, don't misunderstand me. Although I remember those days with fondness and a bit of envy, I am content to sleep late, bake muffins and drink tea while watching the sunlight. This is peace.